Across the country, K-12 educators striving to enhance college and career readiness for their students are seeking to improve their skills and have questions. How can I use test data and reports in meaningful ways to improve student learning? How can I help my students prepare in my classroom, in addition to preparing them by learning the content we are covering? How might we implement instruction and assessment for better depth of knowledge and understanding? How can we ensure our curriculum is comprehensive enough, and sequenced effectively, for the knowledge necessary for college? How can classroom assessment inform and serve student learning, rather than just measure what students have learned? What does genuinely rigorous teaching and learning really look like, in practice, and how is it different from more work and harder tests? How might we ensure that social and emotional learning is supported and promoted in every classroom? For decades, ACT researchers have analyzed the voluminous data on student achievement and preparation, helping us understand what qualities of curriculum and instruction are most beneficial. ACT’s mission is to help people achieve education and workplace success. Given the evidence basis for professional development, it is incumbent upon us to leverage ACT research and advance this mission by doing more for educators in the field. 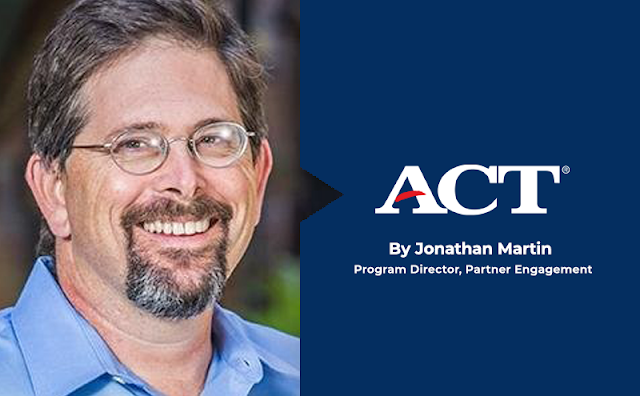 By providing quality professional development, ACT can help teachers be better equipped to help their students achieve that success in school, college, and careers. Knowing this, we have designed ACT® Professional Learning™ opportunities. A few areas we focus on include data for student success, instructional excellence, and social and emotional learning. Our workshops, available individually but most effectively implemented as part of an ongoing series, put teachers, counselors, and administrators straight to work with their ACT reports, empowering them to link data to standards, to plan curriculum enhancement, and to intervene for individual student learning with accuracy and insight. With data mastered, educators work with our professional development directors (themselves former long-time teachers and administrators) to map their local curriculum to ACT College and Career Readiness Standards. This ensures they are providing that knowledge-rich curriculum author Dylan Wiliam and so many other researchers note as essential. After that, educators can expand their understanding of depth of knowledge and cognitive rigor and apply that understanding to sample lessons and assignments. We believe in the importance of widening our view to a more whole-child vision of teaching and learning, as called for in the ACT Holistic Framework. As multiple meta-analyses have demonstrated, uplifting students’ social and emotional skills not only improves their behavior and better prepares them for the workforce, it also enhances their academic achievement as measured by standardized testing by an average of 11%. Our ACT SEL workshops will support your teachers to provide more holistic education for all. Are you a school- or district-level educator making plans for next school year? Are you seeking to take more vigorous steps to improve achievement and enlarge the skill sets of your teachers? Learn more about ACT Training and Professional Learning, or contact us at learning@act.org to learn more about how ACT can help.